All JetBlue operations have moved to Terminal 5. Could you tell me please how much time do I need for transfer from international arrival to internal flight to pittsburg? Thank you. Hello. I am arriving 4pm from Berlin Germany on Air France at the end of August and I have to get on a JetBlue flight to Boston leaving 6pm. Will I make it if I need to pick up a checked bag and get through customs? What is the best way to do this? Hello, I always used to fly JetBlue at Terminal 6, and it was very nice! But the moving to Terminal 5 was no good. Terminal 5 is VERY inconvenient. PLZ FIXX!!! I lost my I pad upon landing on the Suisse Air LX 0022 GVA to JFK September 16th. I may have lost my permanent resident card somewhere between Terminal 5 and 6, as I arrived on 22nd August, 2016, Monday morning at T5 from India, and was headed to Austin from T6 in the late afternoon. Name is Arun Singh. If a card was found, can someone please call me at 309-533-2682 to confirm. my flight is leaving from terminal 7. Can I transfer to another terminal even if my airline is leaving via terminal 7? I want to purchase something in another terminal. 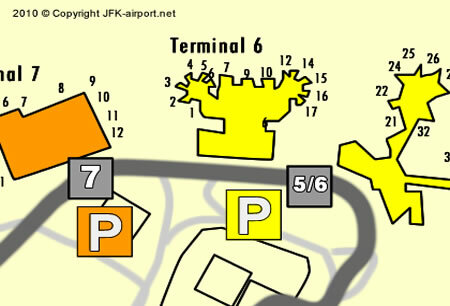 What is the easiest way to go from Terminal 5 to Terminal 1? Do I have to go through security again? How do I get from T6 to T1? Do some Trains leave the terminal for the subway between T9 and T1 while others just circle the terminals? One hour and 30 minutes.